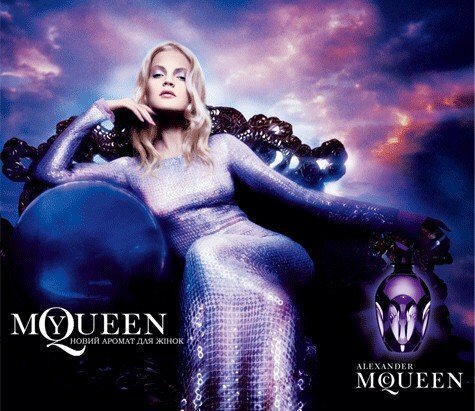 MyQueen is a perfume by Alexander McQueen for women and was released in 2005. The scent is floral-powdery. The production was apparently discontinued. A special feature of the perfume is that it should consist of four fragrance levels instead of the usual three. The final chord is specified as: iris, vanilla. I’ve known this fragrance for quite a while, but I only had a microscopic dab sample which wasn’t really enough for a review. Now I finally managed to get a full bottle and bath in this, finally having the chance to explore it better. My first and last word on this: amazing. My Queen by Flipo and Ropion smells and wears just amazingly good – perfect quality, perfect composition constantly floating between dynamism, liveliness and quiet elegance. It’s opulent, but graceful and mannered, a sort of subtle opulence slowly, but consistently revealing itself as hours pass – like a “slow-release” potion. All iris-violet-heliotrope fans can’t really miss this, as it’s basically a triumph of that triad. 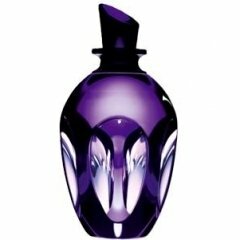 Iris, violet, heliotrope, almonds, a hint of neroli and a perfect, Guerlain-esque (masculine) base of woods smelling crisp and clean enough to tone down the “heaviness” of the main notes and keeping My Queen weightless and unisex enough, if not almost masculine, perfectly balancing freshness and powderiness. Spices concur to this too, as there is some clever, really subtle cumin-pepper that adds just the right tangy “sparkle” to the floral accord, and so does musk – which is quite subtle here, but helps in tilting the balance to the unisex side. And finally orange blossoms, which add a perfect, delicate hint of tart, slightly creamy citrus leafiness, again helping in taming down the power of the iris-gourmand heart of My Queen. But most of all it’s all about iris, which has here a fantastic, extremely sophisticated talc texture that I really haven’t found anywhere so far. It smells powdery and slightly “lipstick” buttery, realistic and high-quality to say the least, but if feels like they did a fantastic precision job in toning down any possible “dirty” or heavy facet of iris, or anyway any excessive thickness, making it smell dusty and impalpable. Not light, though; it is vibrant and substantial to say the least, just with a transparent substance effortlessly blending with its “pastel” sibling – Parma’s violets – and with both almond/heliotropin’s sweet and floral-pasty texture, and the sharp, crisp woody base. The drydown – which is refinedly persistent for quite some hours - feels predictably a bit more woody, dusty and less “plushy”, with a really pleasant iris/violet-infused fresh vetiver and cedar accord paired with a zesty, and again slightly creamy orange blossoms-musk nuance (a bit similar to the drydown of Dior Homme, just a bit “more violet”). If you’re familiar with the (few) nicest works by Ropion you can imagine how good this smells. My Queen is quite complex if you dig deep exploring how magnificently they blended and crafted the notes, but the final result smells smooth, simple, irresistibly refined. And contrary to what you may think from the notes, really versatile and easy to wear – for men too. It can enhance any mood and any outfit, thanks to how perfectly they handled the several facets of iris, a flower that can smell “innocent” and “luscious” at once. And it projects clearly without being heavy. Pure heaven with an outstanding quality and (back when it was available) a cheap price – the discontinued prices of today are still completely acceptable for this quality anyway, as it’s really fragrant gold. Some broad comparisons may be Galliano EDP from 2008, a hypothetical less gourmand, iris-centered version of Villoresi’s Teint de Neige, or a sort of dreamier, more powdery-pastel flanker of Dior Homme. A sophisticated, amazing mood-uplifting unisex wonder. Small sample lies on the table. So calm, so unstirred. Yet... the fragrance teems so much after it gets free from the vial! It changes a lot. The Queen fascinates me with an extraordinary almond cloud, complex and lovely, sweet, then comes an elfin with flowers. These first minutes could make me buy a full bottle, but later on the resinous musk notes come to the fore, and the odor is heavy and choky. I think it has exactly the same heart as the evil stepmother of Snowwhite – this is a burnt tire sloshed with sugar cout. The base is sooo average, that it is not easy to describe, I could not find patchouli, vetiver or cedar, just an average vanilla, sweet, but nothing special. MYQUEEN is a woman, strong and unceasing, almost an amazon. It is a superb modern perfume very long lasting with a exquisite bottle. I was very pleased with this blind purchase taking in mind the comments of all the friends of Fragrantica. 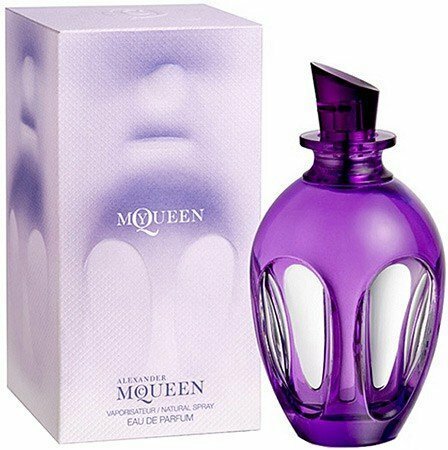 I would suggest Queen is a perfume for winter or even spring evenings, it reminds me of John Galliano's edp. Bravo!! this was a pleasant surprise. My Queen is a very unusual fragrance. It's sweet but has a bit of warmth, almost spiciness (pepper or cumin?). There's something a bit masculine lurking in the background, perhaps cedar. Given the orris and heliotrope as listed notes, I expected this to be much more powdery. The vanilla has a presence but the fragrance is never over-powering. Very well-blended and long-lasting on my skin ... 6+ hours. I like this very much and don't know what took me so long to sample it. My Queen is complex fragrance with a beautiful, delicate and vibrant structure. The violets definitely shine in this fragrance but unlike other compositions where the violets are tender, green or shy, this one shows glamorous and happy violets whirling in a joyful dance. The other notes show their presence at different stages just like in a concerto where the violets play the main lead while other notes provide the rich background and variations to a violet theme. The scent opens with pretty and fresh violets with a touch of almonds and woody notes. The almond note is done well here and I think it gives the violets a sophisticated touch. As the scent develops, the floral bouquet intensifies. The orange blossom gives fresh and cool effect to balance the sweetness of violets and heliotrope. The musk is quite noticeable on my skin in the heart notes. I love the combination of violets, orange blossom and musk. It is so pretty, flirty and glamorous here. The dry down is also complex and beautifully constructed with a slight powdery note from the orris layered on woody and earthy notes of vetiver and cedar. The final stages are light cedar and vanilla, which I could still smells after 10 hours on my skin. The scent lasts a long time and the sillage is quite nice. 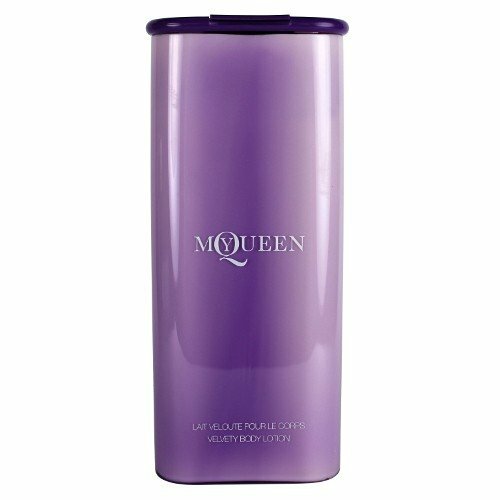 The floral bouquet in My Queen is sweet but it is vibrant and alluring and it does not smell synthetic to my nose like many other floral scents these days. My Queen is certainly a keeper in my collection and one of my favorites among violet perfumes. Yes, the story of MY QUEEN seemed initially to be the same old hum-drum refrain: slightly sweet wood blended in with "abstract florals". However, as it developed a bit, I suddenly remembered what this one reminded me of, in particular: Trussardi JEANS. What marks both MY QUEEN and JEANS off from the rest of the crowd, is the inclusion of liatrix, or so it seems. They both also contain violet, but probably the most significant link is...drum roll...(I can report after having returned from a fact-finding mission): Anne Flipo designed both! Dominique Ropion is said to have had a hand in this creation as well, but the similarity to JEANS makes me think that Anne Flipo was really calling the shots. The liatrix (tobacco-esque) note is far more pronounced in JEANS than in MY QUEEN, but combined with the violet, I cannot really deny the appeal of this composition. I'll buy a bottle not because I find it unique (it's not), but because I love JEANS! Give me violet and liatrix any day. Thank you again, Anne Flipo! "My Queen" didn't make it easy for me. I bought it blind, driven by the tempting reviews on the German parfumo site and because I like the flanker "My Queen Light Mist" I bought earlier. But the first spray was a disappointment as I could smell nothing of the promised joy of a fluffy gourmand fragrance on my skin. Almonds or marzipan? Negative. I smelled a lot of pencilly cedarwood and a scratchy shrubby chaos of green scents and a disorientated violet. It needed about half an hour to sort out into fragrancy. By now I believe my nose had to learn this fragrance, because nowadays the contrariness lasts only a couple of minutes before reaching the comfort zone. The first thing I smell now after spraying is still cedar and an acidic tart green woody note like newly crushed branches and shrubs. This is a mutuality of "My Queen" and its flanker "My Queen Light Mist" which I also own and love and have reviewed as well. Both of them play on the violet note, but it is more pronounced here. The tart shrubby note is soon smoothed over with warm and floral hues, and now is the only moment I would call gourmand: A breath of caramel and marzipan uniting with powderysweet violet and heliotrope. The sweetness is mostly the delicately spicy sweetness of amber and it quickly shuts out caramel and and marzipan. This is a queen to kiss but not to lick. Violet and heliotrope are accompanied by rather shy orange blossoms and especially by iris. Iris and amber gang up to retrieve the cedar that has been softened in the meantime by a very gentle patchouli and equally gentle vetiver. These two are weaving a dark warmth into the fragrance and underline the base note's powdery wood note. Above floats a warm, soft and slightly nostalgic heart made of violet, heliotrope and orange blossom. Other white flowers no more than weave a delicate veil in the background. I get a hint of tuberose, maybe an idea of jasmin, of rose and freesia, but truly only as a delicate veil of airy and elegant florality. In the base note "My Queen" looses some of its florality to a delicately spicy powder note. The slightly cherrylike, woody hay and vanilla scent of heliotrope is replaced by real vanilla which stays in the background ans serves to give the sweetly spicy and woody powder base a soft and cuddly roundness. This spicy and woody dry sweetness reminds me a little of the base of some fragrances by Sophia Grojsman, for instance "Sotto Voce", "Sun Moon Stars" or even the brash and loud "Exçla-ma'tion". Of their base only, mind. And then it also reminds me of the scent that hangs in the air of the musée Jacquemart-André in Paris. Had they sold it in the museum's shop I'd have bought it, even if it had come in the form of a potpourri, and I detest potpourris. "My Queen" has become my favourite fragrance for autumn and winter. It is a rather quiet scent, softly powdery, warm and mildly spicy and woody. A bit nostalgic but not old-fashioned. Write the first Review for MyQueen!